Will 2015 be another year of quarrels? There seems to be some energy building up for the next general elections which has to be held by January 2017. That is still a good 24 months away, but political parties, both the ruling and the opposition parties, have been ramping up their activities in anticipation of an early election in 2015. Some are hopeful that the opposition will continue to make further inroads by winning additional GRCs in the next GE. There is talk that East Coast, Tampines and Marine Parade are likely to swing to opposition parties. But PAP is intent in not letting that happen. They have introduced a slew of measures to reign in the influx of foreign nationals which was one of the major issues in the last GE. PAP has also introduced reforms in healthcare, CPF and education; and introduced new measures to keep the housing prices at bay. The question is, will these be sufficient for PAP to swing back the 6% voter share that it lost in the last GE? What else can the PAP do? Can the PAP win back Aljunied GRC and Ponggol East SMC? “The ground today is a lot sweeter,” said former NMP Viswa Sadasivan in an interview with ST, as opposed to the ground sentiments in 2011. But is that good enough for a win-back or to stop the opposition from advancing further? Since 2011 a good proportion of Singaporeans are politically awakened and they are driven by the need to survive in a harsh economic environment, they seek change and they often cast their arguments as class warfare. The body politic in Singapore is not inert and with 40% of any population being empathetic, there is a good chance that this narrative will gain greater currency in the months ahead. Besides, policy outcomes take years to materialize. The majority of Singaporeans are not going to see immediate results and election results are based on voter sentiments and on political parties’ ability to persuade the public. But, what we are most likely to see in the coming months is brickbats and pasang-kaki politics. In fact, the political brickbats have started with PAP stalwarts firing their salvos at WP during their annual party convention held last month and leading the charge for PAP is Desmond Lee and Victor Lye. If we can predict anything with certainty, we’ll see more of accusations of how WP has failed in parliament, how incompetent they are and about how they have been mismanaging the AHPETC funds dominating the headlines in the mainstream media. 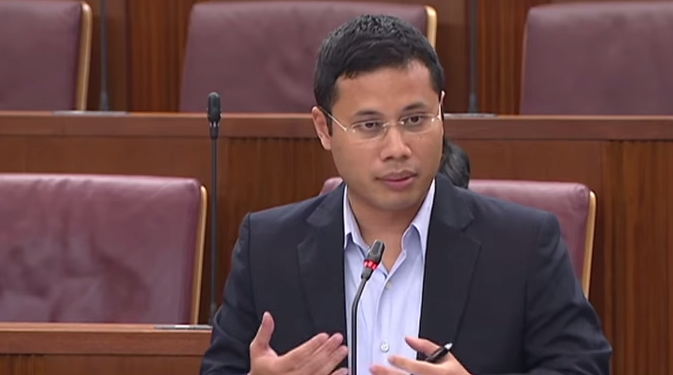 WP has handled the attacks by PAP effectively by playing it down with the media. Their somewhat muted response, or their obsession with being politically correct, has worked in their favour. But will it continue to be effective in the run up to the next general elections? Can voter confidence be swayed by such allegations? Pasang-kaki politics effectively keeps the main issues concerning the electorate out of media spotlight. PAP will continue to play this card for it has a dual effect of keeping the main electoral issues out and at the same time it erodes the confidence of the most successful opposition party. If quarrels are still going to be the mainstay of electoral politics, then let’s quarrel about the big things. I like to see more about issues concerning voters: about how our lives are affected, about jobs, wages and the economy.